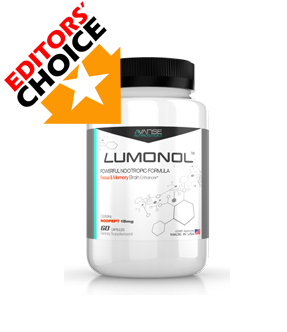 While Lumonol certainly isn’t the most popular brain supplement available on the market, we have to say that it is without a doubt the best premade nootropic that we’ve reviewed, and the best bang for your buck in terms of results. It doesn’t matter if you’re a newbie looking to dip your toes into the world of cognitive enhancement or a veteran who is bored and is looking for something new and exciting, Lumonol brings about some innovative things into the world of brain enhancement that we’ve never seen before! If you’re looking for information about Lumonol, we’ll let you know – there isn’t really all that much about it on the internet. You’ll find their website and perhaps a few other reviews by the time this one is published, but aside from that, there’s not much else. That’s because Lumonol is a pretty new cognitive supplement in the industry, with the soft launch in the beginning of this year – but don’t let that take away from anything. It has an ingenious formula – one that might just revolutionize the industry. But diving into the website, you’ll immediately notice that you need not look further for more information about Lumonol because the whole site is packed full of everything you might ever need to know about the product. Everything from what it does, how it works, the ingredients used, the science behind those ingredients, to even the very manufacturing processes – all of these are readily available for you to read if you wouldn’t mind taking a few minutes to learn more about it before purchasing. 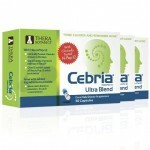 After all, when purchasing supplements that directly affect processes in your brain, we highly advise you to do some further reading first. It was also a pleasant breath of fresh air to see that the writing put into the actual website was quite tame – full of information, but free from so much marketing hyperbole that is quickly flooding the whole industry. 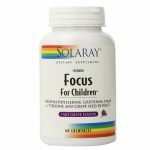 As a powerful nootropic formula, it claims to be able to increase your focus, memory, and even reaction times – along with improving brain health and a few other neat things. You could say we were a little more than interested, and to say the least, we weren’t at all disappointed. So many supplement manufacturers nowadays try so hard to hide the ingredients in their formula that they don’t even put a supplement facts label on their website. Even worse, some manufacturers don’t even bother putting the most basic information about their ingredients or how these ingredients work. This is often the case for manufacturers who don’t care and are only there to take your money. Fortunately, Lumonol’s website is information-rich, and we say thanks to the manufacturers for taking the time and effort needed to research the ingredients and how they intricately help the brain, and then for presenting it in a way that is so easy for even beginners to understand. Under first glance, you might think that Lumonol’s formula is just like any others, but look a little closer and you’ll see that it actually contains some ingredients that you won’t find on mostly anywhere else. Lumonol’s formula is a synergistic combination of traditional nootropic ingredients, with some of the more potent supernutrients available on the market. A) A supplement that is incredibly impotent (in beer terminology, “piss water”). 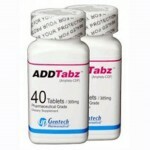 B) A supplement that you have to take multiple (4 to 8) times per day, often resulting in a higher cost. As you can see, both situations are quite bad for the customer. In comparison, Lumonol is a highly potent nootropic brain pill that features some of the most high quality ingredients in the industry. Panax Ginseng: Often referred to as the “True Ginseng”, Panax Ginseng is a natural memory enhancing herb that has shown very positive evidence in improving mood, memory, and cognition. As an adaptogen, it has also been known to reduce anxiety, while protecting against memory loss and similar age-related mental ailments. 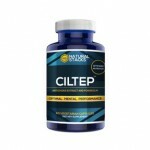 Studies have also shown that it has powerful effects on energy, immunity, and even libido. 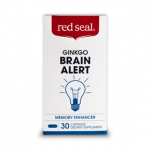 Ginseng works synergistically with Ginkgo (also found in Lumonol’s formula) for greater cognitive benefits. Hordenine: While it’s mostly found in fitness and body building supplements, Hordenine is actually has various positive effects on the brain. It’s an MAO (MAO is a chemical in the body that destroys dopamine) inhibitor known to also improve intelligence (in some studies), memory, mood, and other various mental functions. Hordenine is also known to boost mental energy – great for extended study or work sessions. Picamilon: As one of the best regarded nootropics for anxiety relief, Picamilon is often described to provide a stimulating calm feeling. Through a unique combination of GABA and niacin, Picamilon’s chemical structure also allows for improved mental energy, along with enhanced focus and longer attention spans. 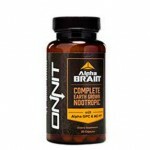 Noopept: Touted as one of the most effective and strongest of all nootropics out there today (1000x more potent than Piracetam), it has the highest potential in terms of improving memory, learning ability, focus, and concentration. Noopept works by stimulating the brain to produce neurotransmitters, improving overall connectivity in the brain. If there isn’t a Limitless drug out there, this one comes extremely close. The aforementioned are just the ingredients that are mostly unfound in other supplements and are unique to Lumonol. Aside from that, Lumonol also boasts CDP Choline (arguably the most potent and effective choline source available), Guarana (a natural energy booster that is more potent than caffeine), and Acetyl L-Carnitine (an enhanced version of the fat-burning L-Carnitine that affects mental processes as well). 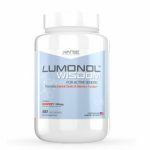 Everything about Lumonol’s formula just screams premium, and by combining groundbreaking ingredients, on top of what the very best already offer, Lumonol is hands-down the best formula we’ve ever seen in a brain supplement. 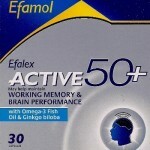 Our tests with Lumonol lasted for a whole 45 days. We had a few volunteers come in to our lab (aged 18-48) who agreed to take Lumonol continuously and write down their findings in a journal. They also had to come report back with our lab every two weeks for general cognitive performance tests. Saying that our experience with Lumonol was “great” would be a massive understatement. Almost immediately from the beginning of the testing period, we already heard very positive reports from our volunteers claiming that their memories were improving. It may not be something we think about now since not remembering things is pretty common, but our volunteers noted being able to remember where they left the keys, the name of people they just met, and even to-dos on a checklist. One more thing reported was that words came to them more easily. As one of our volunteers explained, it’s like having a word at the tip of your tongue, or suddenly losing your train of thought – these things happened less and less during our tests. There were also some reports on volunteers being able to focus and concentrate on things more easily, and thereby, they were more productive, getting tons of work at the office or at school done in the minimum amount of time required. Speaking of focus though, the added focus also helped over longer periods, as we had also heard from our volunteers that studying and learning new things became very easy on Lumonol. Learning did not only become more efficient, but also more fun as it was ‘exciting’ to see how much you could learn in a given amount of time. In fact, some of our volunteers had learnt a new skill (to some level) by the time the test was over, whether it was playing a new instrument, speaking a new language, learning a new programming language. And to think – the test only lasted a duration of 45 days! Needless to say, Lumonol was very impressive. Most probably due to the hefty dose of Noopept included, Lumonol was like an even further enhanced version of other brain supplements with its increased focus, verbal fluency, memory recall, and even reaction times. The only reason we could find to not give Lumonol full marks was simply down to the fact that it is so new. We should penalize anyone for not having enough reviews out on the web – as there certainly aren’t any negative ones at the moment… But to get a full score, we would like to see how Lumonol is fairing in 12 months’ time. So far, perfect but again, it is a little too soon to be classing Lumonol a 100% until we have all had a chance to give it a good few months. One of my friends from [name omitted] University told me that his grades have improved a lot over the last semester, and that he was on Lumonol. After much persuasion, he got me to try it out too, and I have to say that I’ve been thinking a lot more clearly in class now. But even after going back home, it seems like I can remember more. Finals is coming in two weeks, and I’ve just ordered my second bottle. Fingers crossed! Definitely clears my mind, especially on some days when I get pretty hammered at work. Also some great improvements in memory, but it was more noticeable after a few weeks of continued use. My mind is clear and I have loads of energy. There is definitely a difference when using this product. Believe the hype. Lumonol has really increased my motivation at work. On certain days, I find that I’m unable to think clearly, and start procrastinating for much of the afternoon. When I started Lumonol, I noticed that my motivation at work has skyrocketed! I’m not exactly sure how, but my overall work output has increased too! I don’t know how Lumonol does all of this for me, but heck – I have to say I’m loving it. Side effects with Lumonol were almost nonexistent. One of our volunteers found they needed to supplement the Citicoline in Lumonol with an addition 250 mg’s just to ward off mild headaches if taken on an empty stomach. However, this was just one person in our whole test, and choline deficiency is actually quite common. With that one exception, our other reviewers felt fantastic on it, and all reported waking up feeling fresh, alert, and ready for the day. 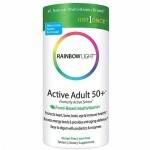 A month’s supply of Lumonol consisting of 60 capsules comes at $58.97. At just a little less than $2 a day, that is a very difficult offering to beat – especially when taking into consideration the many benefits Lumonol has to offer. 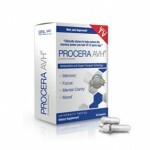 It’s a memory enhancer that also functions as a powerful focus booster, while supplying you with clean natural energy from the Guarana (as opposed to caffeine). 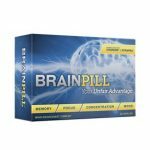 In consideration of the fact that Lumonol contains some potent ingredients not found in most other similar nootropic supplements, you aren’t even going to remember the amount of money you spent on Lumonol as you continually blast through piles and piles of work. 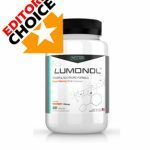 We believe that Lumonol may come in discount packs as well when ordering more than one bottle, so check out their website as you might be able to get more for less with discounts. While we were quite skeptical in the beginning due to the company being so new, Lumonol completely blew us away. 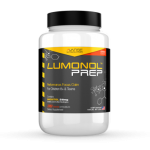 Without a doubt, Lumonol is the best all-around premade nootropic available on the market with its incredibly potent and innovative ingredients. The synergistic combination of the many premium ingredients in its formula, along with the addition of some ingredients unique to Lumonol, will make sure you have hefty amounts of focus, energy, motivation, and the capability to learn, for whatever situation you may encounter. Our volunteers’ experiences with Lumonol were very impressive. They not only saw improvements in memory, but in so many other aspects of cognition as well. And for a price of just under $2 a day for all the many benefits it brings, it is without a doubt perhaps the best value investment we can think of for those looking to excel in all aspects of life, be you a student, an entrepreneur, a strategic sports player, or anyone who relies on clarity of though, rapid thinking abilities, and enhanced concentration levels. We definitely give it our two thumbs up, and if any of us had a third one, Lumonol would be getting that thumb up too! I Want to Try Lumonol Now!